A couple of days ago, someone asked me how to change the Bluetooth adapter’s name on a Windows 10 PC? In this guide, we will see how to change Bluetooth adapter’s name in Windows 10. 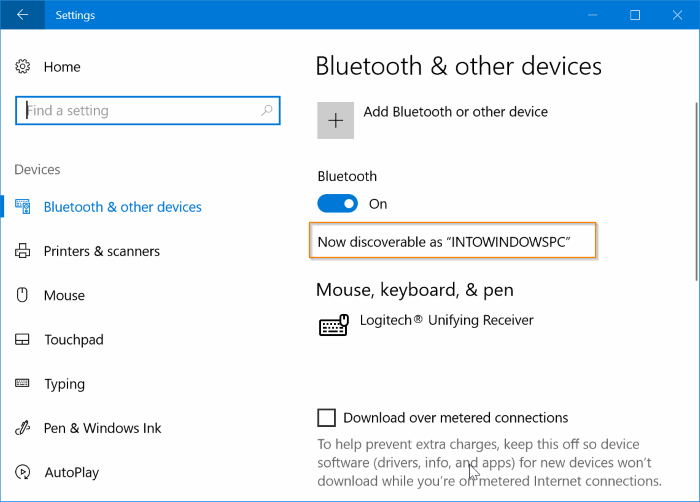 Your Windows 10 Bluetooth adapter’s name is usually required when you want to receive a file from another Bluetooth device, or when you want to pair your phone with your Windows 10 PC. In Windows 10, you can see your Bluetooth adapter’s name by navigating to Settings app > Devices > Bluetooth & other devices. If you are looking to change the default name of the Bluetooth adapter on your Windows 10, remember that the Bluetooth’s name is nothing but your Windows 10 computer’s name. In other words, Windows 10 automatically sets your Windows 10 computer’s name as Bluetooth’s name. 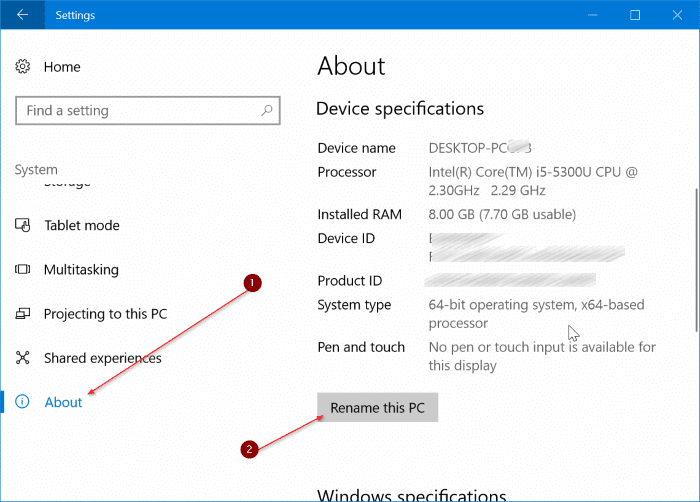 Because of this, you cannot change the Bluetooth name alone in Windows 10. If you want to change the Bluetooth’s name, you need to change the computer name. In short, it’s impossible to set different names for your Windows 10 PC and Bluetooth adapter on your PC. 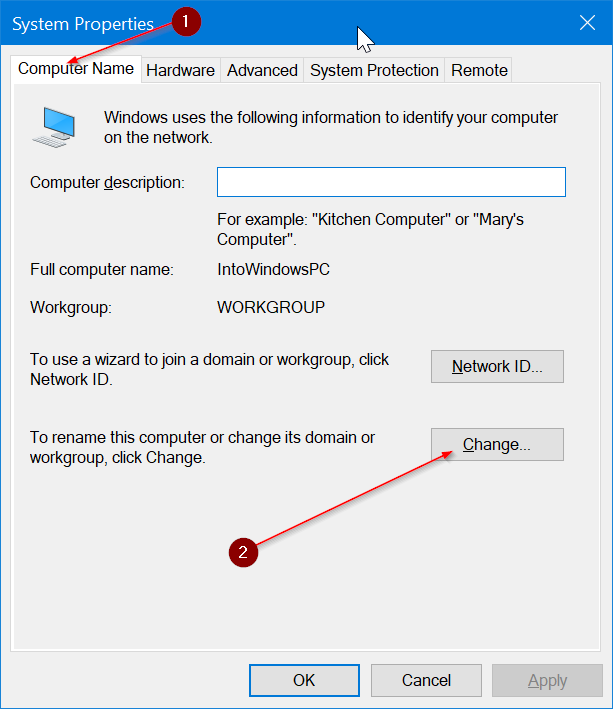 Following are the two ways to change your Windows 10 PC Bluetooth name. Step 1: Navigate to Settings app > System > About. Step 2: Under Device specifications, click Rename this PC button. This will open Rename your PC dialog. Step 3: Type in a new name for your PC/Bluetooth. Click Next button. Step 4: You will now be asked to restart your PC. Save all work and click Restart now button. If you wish to restart later, click Restart later button. The new PC/Bluetooth name will appear once you restart your PC. 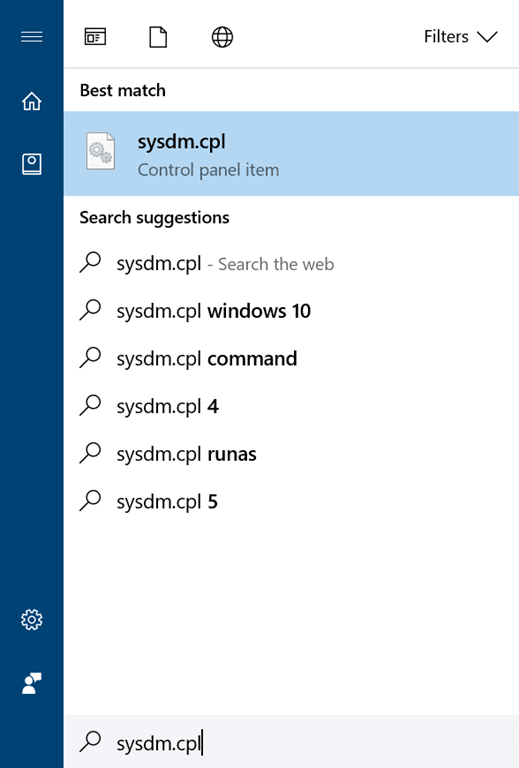 Step 1: In the Start/taskbar search box, type Sysdm.cpl and then press Enter key to open System properties dialog. 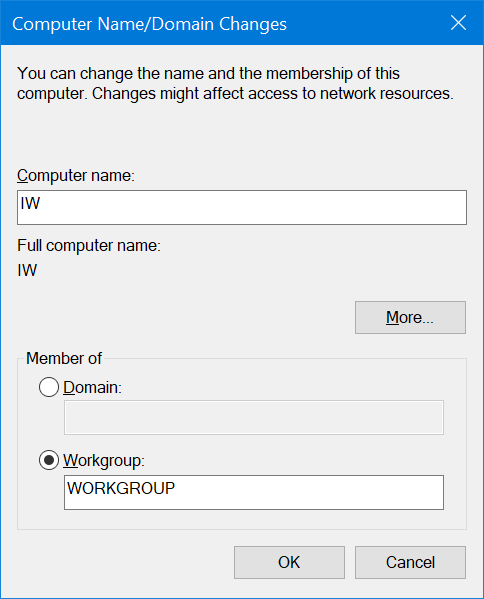 Step 2: Here, under Computer Name tab, you can see your full computer name as well as workgroup name. To change the computer name or Bluetooth name, click the Change button. Step 3: In the Computer name field, type in the name which you want to assign to your PC as well as Bluetooth. Click OK button. You will see a dialog with “You must restart your computer to apply these changes” message. Click OK button. If you see a dialog with Restart now and Restart later options, click Restart later button. Step 4: Finally, save all your work and then reboot your PC to set the new name as your computer name as well as Bluetooth receiver’s name on your Windows 10. So I’m trying to follow all the comments that talk about device manager and when I select my Bluetooth device, there is definitely no “Advanced” option. Any ideas? This is a terrible guide full of incorrect information. Double-click it and set the desired name in the Advanced section. Fill with whatever you want in the name… done.